This Land Rover Range Rover has a dependable Intercooled Supercharger Premium Unleaded V-8 5.0 L/305 engine powering this Automatic transmission. WHEELS: 22 9 SPLIT-SPOKE GLOSS BLACK (STYLE 9012) -inc: Tires: 22, VISION ASSIST PACK -inc: Front Fog Lights, Head-Up Display, Configurable Ambient Interior Lighting, Auto High Beam Assist, TOWING PACK -inc: Advanced Tow Assist, Tow Hitch Receiver, Activity Key. 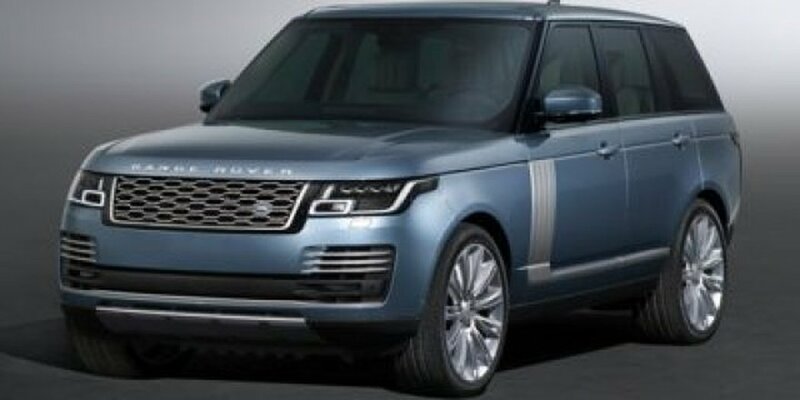 * Drive Your Land Rover Range Rover in Luxury with These Packages*TERRAIN RESPONSE 2, SMARTPHONE PACK -inc: Apple CarPlay, Android Auto, SIRIUSXM SATELLITE & HD RADIO, SANTORINI BLACK METALLIC, RADIO: MERIDIAN SURROUND SOUND SYSTEM -inc: 825 watts, 18 speakers, subwoofer, SiriusXM satellite radio, 12.3 full TFT digital instrument panel, 10 Touch Pro duo w/2nd display, InControl apps, data plan pro, USB and 12V power sockets, Bluetooth connectivity and trip computer, ILLUMINATED METAL TREADPLATES -inc: brand-name script, HEATED WINDSCREEN, FRONT CENTRE CONSOLE COOLER COMPARTMENT, EBONY MORZINE HEADLINING, DRIVER ASSIST PACK -inc: Adaptive Cruise Control w/Steering Assist, Lane Keep Assist, Park Assist, Blind Spot Assist, 360 Surround Camera, High-Speed Emergency Braking, DOMESTIC PLUG SOCKETS, BLACK EXTERIOR PACK -inc: The following accents will be in Narvik Black: hood and tailgate lettering, inner surround and frame grille mesh foil, front bumper accent, front tow eye cover, door mirror caps, side vent and side accent graphic and tailgate finisher, BLACK BRAKE CALIPERS -inc: Land Rover branded, ALL TERRAIN PROGRESS CONTROL (ATPC), 4-ZONE CLIMATE CONTROL. * Stop By Today *Test drive this must-see, must-drive, must-own beauty today at Jaguar Land Rover Lakeridge, 280 Achilles Rd, Ajax, ON L1S 7S3.Prices include all fees except licensing and HST.